LONDON (Reuters): Former British Foreign Minister Boris Johnson has said Prime Minister Theresa May “wrapped a suicide vest around the British constitution and handed the detonator” to the European Union with her Brexit plans, in comments that drew strong criticism. In a column in the Mail on Sunday newspaper, Johnson described May’s so-called Chequers plan to leave the EU as “a humiliation” that opens “ourselves to perpetual political blackmail”. 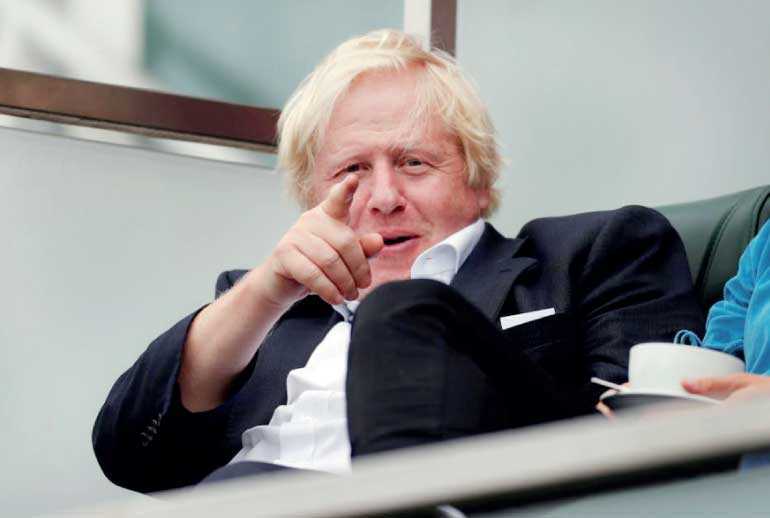 Johnson is the bookmakers’ favourite to succeed May and is seen as someone who would press for a clean break from the EU after being the figurehead of the ‘Leave’ campaign in 2016. “We have wrapped a suicide vest around the British constitution and handed the detonator to (EU chief negotiator) Michel Barnier,” Johnson wrote. His words – particularly the reference to a suicide vest – drew condemnation from members of the governing Conservative Party on both sides of the deeply divisive Brexit debate. Alan Duncan, a Minister at the Foreign Office, said it marked “one of the most disgusting moments in modern British politics”. Johnson resigned as Foreign Secretary over the Chequers plan, named after May’s country residence where the Government agreed her Brexit proposals in July. He argued that the plan, under which Britain would keep close trade ties with the EU, meant agreeing to the bloc’s rules with no say. “It means we are a vassal State,” he said in the column. Since stepping down, Johnson has written several newspaper columns urging Conservatives to put pressure on May to “chuck” the proposals at the Party’s conference later this month. Johnson’s column appeared a day after him and his wife Marina Wheeler announced they had separated and planned to divorce.